Members must login to view Chapter internal information. We also get together at our social events. See our Social Events page for more details. For more than 10 years we in Chapter 180 have been giving young people their very first ride in an airplane. If you or a youngster you know wants to experience the thrill, spectacle and beauty of flying for the first time visit our Young Eagles page and find out all about how. EAA Chapter 180: Camaraderie for over 50 Years! Please click on the EAA Chapter logo below for information about our Chapter and membership in EAA180. EAA180 welcomes all visitors and invites all aviators as well as those with an interest in aviation to join with us at 7:00 pm on the 4th Wednesday of each month. We meet at the McClure Auditorium in the SRQ complex. Off US 41 N, turn East on General Spaatz Blvd (by the Shell gas station) and then turn left after the gravel parking lot on your left. You'll see the auditorium and parking just ahead and to your right. Park, then come on in and join us. Your involvement in providing ideas and topics for monthly meeting programs is very important to providing programs which you feel are relevant. We want our Chapter members (and guests) to be involved and actively participating. Our April membership meeting will be held Wednesday, April 24th at the Dan McClure auditorium at SRQ. A video from EAA with many new developments will be shown following our short business meeting. Sorry for the late notice due to the cancellation of our scheduled program. This will be the 50th anniversary of EAA in Oshkosh and it will be a celebration of aviation fit for this special occasion. The video produced by EAA headquarters will feature updates on plans for AirVenture and updates on many issues relevant to home builders and general aviation. Guests are always welcome and encouraged. Our short business meeting begins at 7:00 PM followed by a refreshment break and our program presented by EAA. We hope to see you there. Our next Monthly Member Meeting of EAA Chapter 180 will be Wednesday, March 27, 2019, 7:00 pm at McClure Auditorium. Following our business meeting there will be a short refreshment break and a special presentation by ATC personnel from SRQ. We are so busy with helping register people attending the annual pilot/controller meeting each year, we rarely get the opportunity to meet and talk to the ATCT people who attend. Local ATCT operations are important to our monthly Young Eagles events and our every day flying activities to stay safe. The recently held annual Runway Safety Action Team meeting at SRQ shed light on some safety issues and opportunities to improve safety and ATC services at SRQ. The ATCT staff at SRQ is committed to the team approach of controllers and pilots working together. They will discuss unique local operations at SRQ and the relationship with Tampa Approach in providing services. It should be an interesting evening. As always, guests are most welcome and encouraged. See you on Wednesday, March 27th. This notice is being posted for all active members of EAA Chapter 180 for a Special Meeting of the Board of Directors scheduled for Thursday, January 24, 2019 to be held in the upstairs conference room of Dolphin Aviation at the Sarasota- Bradenton International Airport. Board members from Teen Build of Manasota will also be in attendance. The purpose of the meeting and only scheduled agenda item is to have a discussion to formalize the relationship of EAA Chapter 180 and Teen Build of Manasota. Any Chapter member who wants to attend is welcome to do so. Happy New Year and welcome back to many of our snowbird friends. Our next Monthly Member Meeting of EAA Chapter 180 will be Wednesday, January 23rd, 2019, 7:00 pm at McClure Auditorium. Following our business meeting there will be a short refreshment break and a presentation on the teen aircraft building program at SRQ you will not want to miss. 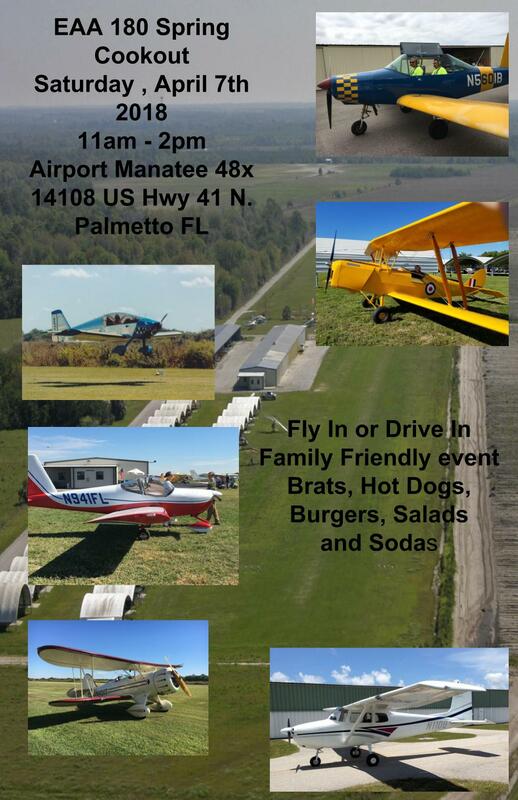 Our January program will be a presentation by Teen Aircraft Factory of Manasota. 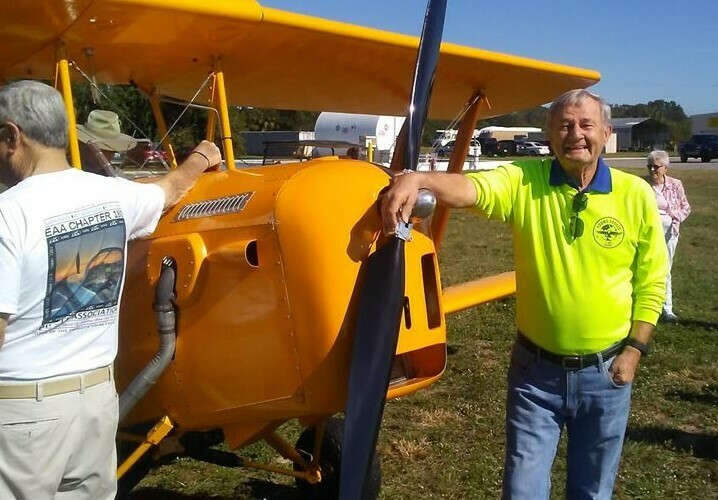 Chapter 180 member Ric Romanoff and teen builder Malcolm Moniz will present the story of how teenage boys and girls from our area under the mentorship of many of our own Chapter 180 members have built two RV-12 airplanes and will be starting their third airplane project this year. 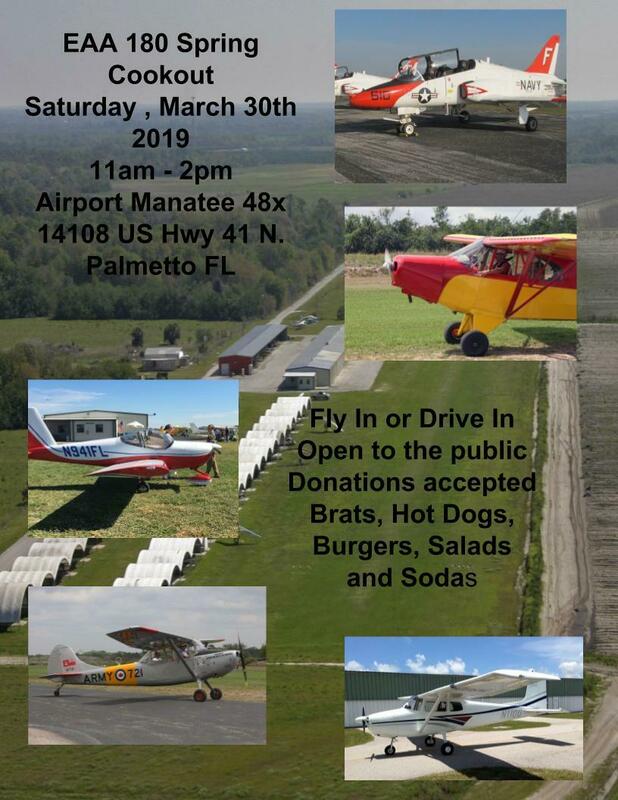 Teen Aircraft Factory of Manasota, Inc is a 501C-3 organization started largely through the efforts of our Chapter 180 past president Martin Sobel. Many of our chapter 180 members meet each Saturday to mentor teenage boys and girls, many who are considered at-risk youth, sharing their experience and knowledge to help build an airplane and instill life skills. Many success stories have come out of the past two aircraft building programs and more are promised with the start of the third aircraft. It should be an interesting evening. As always, guests are most welcome and encouraged. See you on Wednesday, January 23rd. Our next Monthly Member Meeting of EAA180 will be Wednesday, December 5, 2018, 7:00 pm at McClure Auditorium. Our business meeting will include the election of our chapter Officers and Board members. Your attendance is very important. Following our business meeting there will be a short refreshment break and a program you will not want to miss. Our program speaker will be Colonel Ben Knisely, United States Army, Retired. Ben is a highly decorated Army aviator who was shot down by enemy fire in Viet Nam in April of 1968 while piloting a UH-1 MEDEVAC helicopter. He and his co-pilot were listed as MIA. Their subsequent recovery in a heroic and daring rescue mission were captured in a book called “DUSTOFF 65” published in 1974. The Infantry Lieutenant who led the rescue was recommended for the Congressional Medal of Honor. Colonel Knisley after 9 months of hospitalization recovered and stayed on active duty flying MEDEVAC helicopters for many years. For his last tour of duty, he served on the special staff of General Norman Schwarzkopf during Operations Desert Shield and Desert Storm. As the owner of a Cirrus airplane and an active local pilot, Ben will share the experiences of combat flying and the things he learned and has put in to practice in his GA flying today. It should be an interesting evening. As always, guests are most welcome and encouraged. See you on December 5th. Last Minute Bonus: Hal Shevers, founder of Sporty’s is planning to attend our EAA180 Meeting on December 5th. We are asking any EAA180 Members who are free to help setup to come at 10:00. We welcome any dishes to pass. Thank you!! This is the proposed Slate of Board of Directors/Officers. At the October 24th, 2018 EAA180 Member Meeting, we will be asking for any nominations for the Board of Directors or Officers. The Election will take place on December 5th, 2018 at our regular Joint Nov/Dec EAA180 Member Meeting. If any questions, please contact a Nominating Committee Member: Gary Stevens, Jeff Claridge or Shirley Mandarino. work conducted along with his experience flying a Lear jet. Estimated Cost Per Flight Hour to include Reserves for engine and airframe maintenance, Reserves for engine and avionics overhaul/replacement, fuel (auto gas). ! ! BRUNCH BUNCH IS BACK ! ! Saturday, October 13th flying to Sebring. Mark your calendar! September Member Meeting - McClure Auditorium. Does the whole plane need to be dismantled ? How much work space is needed ? How do you remove the old paint ? What type of paint remover works best ? What kind of tools are required ? Replace or restore parts, and which ones ? Repainting the outside & Refinishing the interior: where & how ? Which is more cost effective: restore or purchase another plane? program presented by Jim. We hope to see you there. at Demetrios, corner of University and Lockwood Ridge. socialize over a delicious dinner. lots of fun with your fellow members. We have heard of several EAA 180 Chapter members who are interested in a club based upon the interest and knowledge of Van’s RV-12. The RV-12 is extremely fun and inexpensive to operate. RV-12 N941TB is completed and is now waiting FAA certification, now scheduled for the week of July 30th. N941TB (Teen Build). We plan to advertise the aircraft at AirVenture ’18, but we would prefer keeping the airplane local. For our June 27th meeting, join us for another fun evening of cruising the Manatee River with Riverside Tours, Inc. to see a sunset on Tampa Bay and enjoy the city lights on our return. Dinner at the Riverhouse Reef and Grill before the cruise for dinner and you get an additional $5.00 per person off the river cruise. We need 30 people to have the tour boat exclusively for our Chapter. 7:45 pm RiversideTours - cruise departs the dock at the restaurant and returns at 9:45 pm. Riverhouse Reef & Grill from this date. We are continuing our "summer season" with a dinner meeting at Demetrios, corner of University and Lockwood Ridge. Plan to join us for dinner. No program tonight...just good food and great conversations with fellow EAA180 members/guests. Our April Membership Meeting will be held Wednesday, April 25th at the Anna Maria Oyster Bar Landside located just north of the airport at 6906 14th St. West Bradenton, FL 34207. We have the private back room reserved for us under EAA 180 from 6:30 PM until we are ready to leave. After some interesting programs and short business meetings, this meeting will give us a great opportunity to get together socially for a meal and catch up with each other and on chapter business. No reservations are required, you order off the menu and guests are welcome. We look forward to seeing you there and catching up after our Spring picnic, Sun n Fun and before Oshkosh with the latest chapter news and future activities. Our March membership meeting will be held Wednesday, March 28th at the Dan McClure Auditorium at SRQ. We are very excited about having Phil Lockwood of Lockwood Aviation as our featured program speaker. Phil Lockwood is the founder and current President and CEO of Lockwood Aircraft Company in Sebring. Phil has built the company to a world recognized leader in aviation as the producer of the incredible AirCam airplane and one of the leading resource centers for Rotax engines. Phil conducts Rotax clinics and workshops at their Sebring headquarters and throughout the country. We are fortunate to have him come to us for our March meeting. Phil will be talking about the Rotax 9 series that is quickly growing as a viable choice in aircraft engines for a variety of manufacturers and homebuilders. Bring a builder friend or anyone interested in learning about what is new with Rotax from one of the leading experts to be found. Our short business meeting begins at 7:00 PM followed by a refreshment break and our program presented by Phil Lockwood. We hope to see you there. 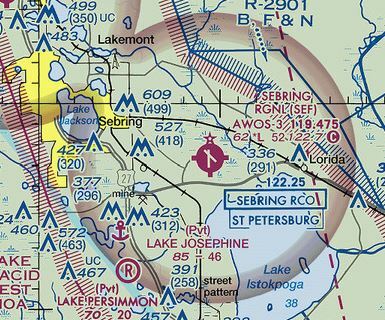 Our February meeting program is a joint effort between EAA Chapter 180 and the SRQ Chapter of the Ninety-Nines. We are very pleased to have nationally known aviation journalist Amy Laboda and Dr. Aaron Wohl speak about why it makes sense for many pilots to fly under the new Basic Medical standards that EAA fought so hard to implement. The program qualifies for the FAA wings program. Our membership meeting starts at 7:00PM at the Dan McClure Auditorium at SRQ on Wednesday, February 21, 2018 (one week earlier than our regular night). Refreshments will be served after our short business meeting and prior to the program start. Amy Laboda is an ATP multi engine pilot and flight instructor. 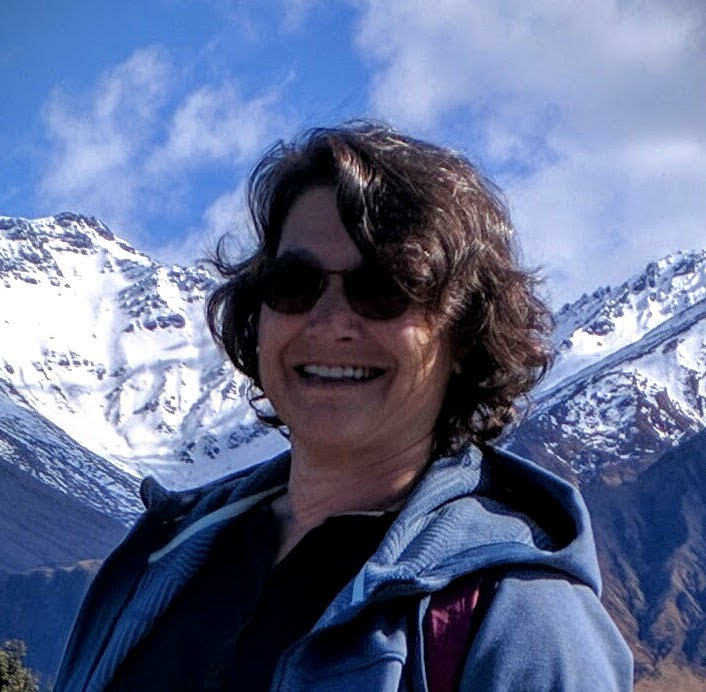 She is also a retired magazine journalist, having written for FLYING, AOPA Pilot, Flight Training magazine and Aviation International News. Amy is also a member of the Ninety-Nines. 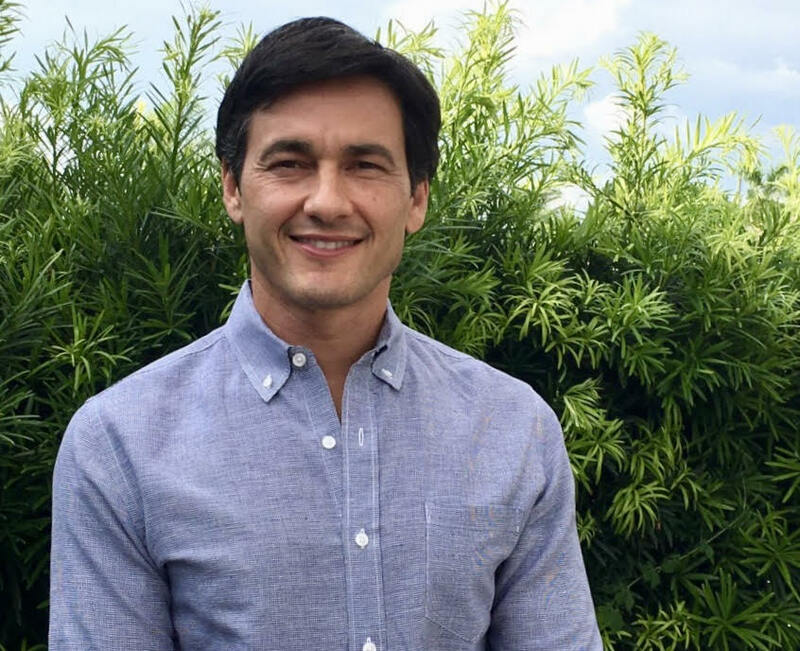 Dr. Aaron Wohl is an emergency room physician and a pilot. He performs Basic Medical exams for pilots in Southwest Florida. 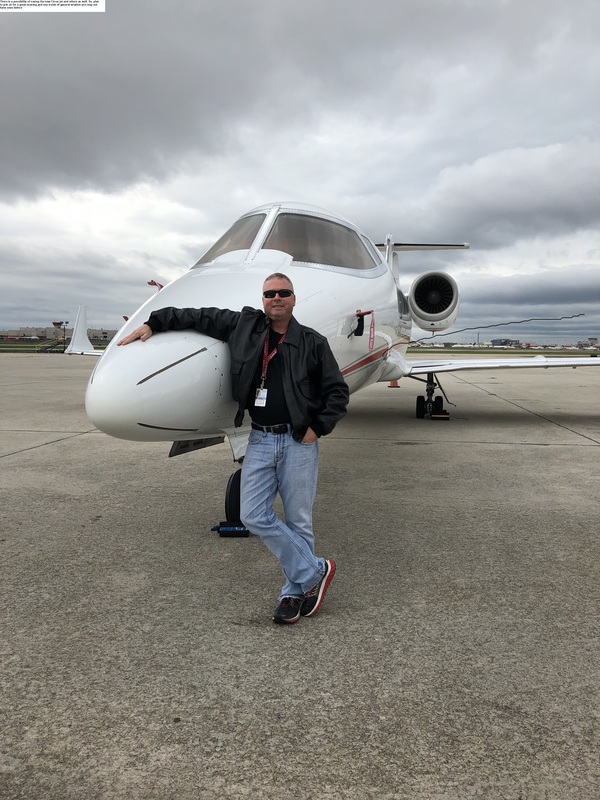 He will be speaking in a question-and-answer format about the certification requirements, the exam, including how and why it makes sense for many private pilots. Happy New Year everyone and welcome back to our many snowbird friends and members. Our first meeting of the new year will feature a presentation on the Civil Air Patrol and some new and surprising things about CAP’s role in serving our country. Our membership meeting starts at 7:00 PM at the Dan McClure Auditorium at SRQ on Wednesday, January 24th, 2018. Refreshments will be served after our short business meeting and prior to the program start. Senior and Cadet members of our local CAP FL-044 SRQ Composite squadron will be on hand to deliver the CAP story including the history of CAP, the Senior and Cadet programs, the aircraft flown and the mission of Civil Air Patrol. The Civil Air Patrol recently celebrated its 75th birthday. This past year’s active hurricane season resulted in a busy year for CAP and the SRQ Composite Squadron seniors and cadets. Many damage assessment sorties were flown from the Punta Gorda base for FEMA and members of the SRQ squadron also deployed to Puerto Rico as well. As the official auxiliary of the United States Air Force, Civil Air Patrol plays a vital role as a force multiplier. It promises to be an informative program. We hope to see you there. wanted to know about it. Our next Monthly Member Meeting of EAA180 will be Wednesday, December 6th2017, 7:00 pm at McClure Auditorium. This will include a short business meeting and refreshments will be served. Dan Cunningham graduated from the University of Florida with an Electrical Engineering Degree. He is a Principal Software Engineer with L3 Aviation Products. He started working with flight recorders in the mid 1990s. L3 Technologies (parent company) is a $10+ Billion, multi-national organization, with over 38,000 employees. It is one of the top ten US government contractors, working with Dept. of Defense, Homeland Security, NASA, etc. We’ve come into contact with their many products: airport baggage scanning systems, passenger screening systems and trace level explosive detection systems. Dan will talk to us about flight data recorders, often referred to as “black boxes”, which it not Black, and it’s not a Box. Bring your questions and have them answered. This will be an interesting meeting so be sure to attend and bring your friends/guests. All are most welcome. Hope to see you on December 6th. Our next Monthly Member Meeting of EAA180 will be Wednesday, October 25, 2017, 7:00 pm at McClure Auditorium. This will include a short business meeting and refreshments will be served. Malcom Moniz our own Teen RV12 builder was sent to experience Oshkosh for the first time by our chapter. Due to illness last month Malcom was not able to tell us about his experience, so he is on for October. Malcom promises some good stories from his experience and has some pictures and video to share from his experience at the EAA Air Academy and as a first-timer at AirVenture. The Ninety-Nines are an international group of women pilots with a rich history and many famous members. A new chapter of the Ninety-Nines has recently started in our area and there is a good opportunity to work with them on future events and programs. Elina Lunin is the new chapter president, an active Flight Instructor, a corporate King Air pilot and owner of a Geronimo Apache. Andrea Noles Jaushneg is the station manager of Rectrix at SRQ and the owner of a Citabria. Elina and Andrea will introduce us to what the Ninety-Nines are all about and some of their aviation activities and programs. It should be an interesting evening and a great way to get back in to our regular meetings. As always, guests are most welcome and encouraged. See you on October 25th. At the Teen Build/RV-12 Hangar. **Parking across the Road, adjacent to airport entrance. This month, we are continuing our more "Social" summer program. We are welcoming all EAA180 members/guests to come to see the Teen Build RV-12 progress. Also: See the new proposed Adult Build project of completing the Christavia MK-1, which was donated to EAA180. Bring your family and join us for a fun evening on June 28th!!! In place of our regular June meeting, we will have a fun evening of cruising the Manatee River with Riverside Tours, Inc. to see a sunset on Tampa Bay and enjoy the city lights on our return. The fun starts at the Riverhouse Reef and Grill before the cruise for dinner and you get an additional $5.00 per person off the river cruise. We need 30 people to have the tour boat exclusively for our Chapter. You can bring your own snacks and drinks aboard the boat. It is a beautiful 2 hour outing. June 28, 2017 Our regular meeting night. We are kicking off our "summer season" with a dinner meeting and a Program by Steve McCaughey, the Executive Director of the Seaplane Pilots Assn. If you've ever thought about seaplane flying or would like to learn more, plan to join us for dinner and an interesting program. (Full Bio - Click Link Below). EAA member pilots with aircraft and ground ops personnel are always needed to assist with our Young Eagles program held every 3rd Saturday of each month. I'll post more info as needed. Members: Please call Chip Miller with your offer to assist the Young Eagles program. Come fly with us. We're changing kids' lives.